In the last post, I spoke about how I fell back in love with fashion and everything it stands for (in case you missed it, click here). I also touched on how accessorizing can really change the look and take it to a whole new level. I'd always heard about how accessorizing can be game-changing but, I always thought it was something reserved for the creative minded among us. Here, I talk about how I realized that there was more to accessorizing than the standard black Gucci Double G belt! One day in Zara, I grabbed a pair of statement gold earrings to see how they would look on an outfit I had just paired whilst in stores. And just like that, it hit me! I realized how accessorizing can add a personal touch to your look. There are so many ways to make your outfit stand out, from belts to necklaces and everything in between. Until now, I'd never really picked myself for a watch kinda gal. I never really considered watches as an accessory. To me, watches were something you'd wear to read time and when iPhone served that purpose, watches seemed to have lost their novelty. 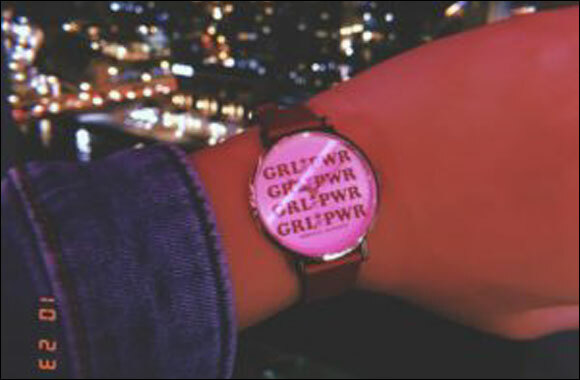 This changed when I attended the launch of a the new GRL PWR collection of watches at Rebecca Minkoff. This range was dedicated to celebrating independent women and how amazing they are! I instantly gravitated towards the collection as the pieces looked beautiful. At the launch event, I tried on pieces from other Rebecca Minkoff collections as well. This gave me a new perspective on watches and how they add a subtle touch that can elevate your look. The next time you are in the accessories department at a store, pop over to the watches bit and try one on for yourself to see exactly how a little detail can transform your outfit!